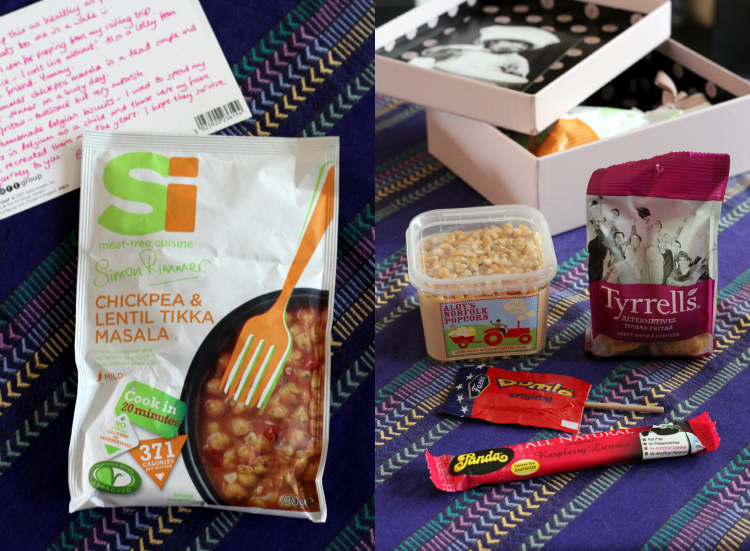 After a bit of fretting and waiting, due to my pen pal Lucy being whisked away on a sailing trip unexpectedly, I finally received my Foodie Pen Pal parcel for last month. And it was all good. In a pretty box came a lovely selections of goodies that were right up my street. 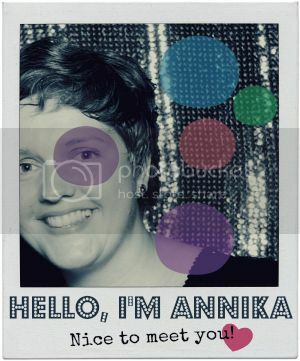 I also liked the card that Lucy chose, very cute! This is what I saw when I took a first look at the contents. My box contained contained a chickpea curry mix for one from the Simon Rimmer range. I did not even know that he had developed these vegetarian meals in a bag, but I do own one of his cook books and enjoy the recipes, so I have high hopes for this. I will save it for lunch on a day when I am working from home, I think. Lucy also picked some healthy-ish snacks (yay! ), namely popcorn grown in Norfolk, some fruity licorice, a Norwegian cola lolly and Tyrrell's fried broad beans, which I hadn't seen before. They were quite nice to munch on. 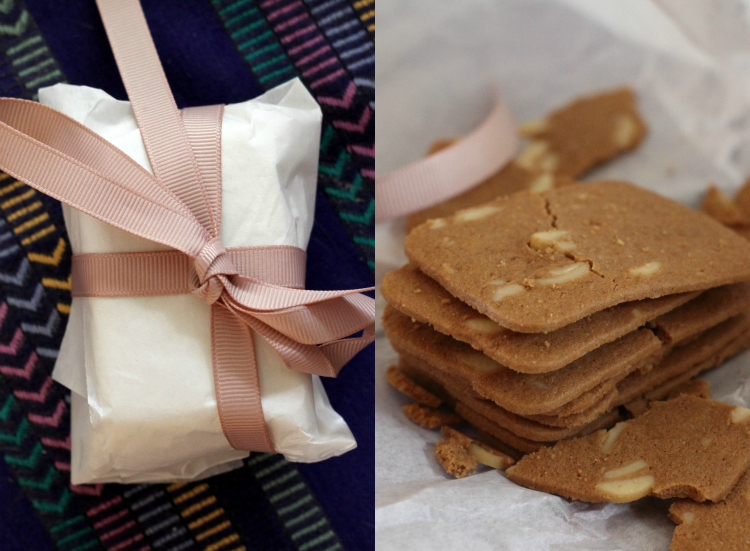 The postcard suggested that this pretty package would contain homemade Belgian biscuits, and revealed these butter almond thins. As the postman timed his delivery perfectly, these were shared with Marco right there and then, together with an iced coffee for Kaffee & Kuchen. I liked everything I have tried from this parcel and am looking forward to sampling the remainder. Thank you to Lucy for putting it all together for me! Foodie Pen Pals is organized by Carol Anne from Rock Salt, and you can find out more about it here or by clicking the link on my swaps page. The whole idea originated in North America, so if you are a stateside or Canadian foodie, you can sign up there. What a lovely parcel to receive. I had never heard of the fried broad beans. I love broad beans and since there are in season at the moment we are eating a lot in our house. The kids aren't so sure about them though! That looks very interesting! Especially the butter almond cookies, yum :-). thanks so much for coming to visit on my new side! it is lovely to have old friends over. for some odd reason commenting there only works when you open the post in a new window, no idea why... but apart from that i am very happy at the new (virtual) space. great that you liked the video.